Australia’s XTM Performance has set itself an ambitious target: to cater to the most demanding in its category, winter sports champions and racers. The outdoor-gear maker’s founder, Peter Forras, looked to his own professional skiing past, including downhill and downhill combined races in the 1986 Winter Olympics in Calgary, for inspiration. Pete had his designers team up with the best athletes on Australia’s winter sports scene, to test the garments in the harshest possible conditions. A snowboard cross World Cup winner, a Mogul World Cup medallist, and an Aerial Skiing Olympic winner, among others, wear XTM outfits and provide valuable feedback to help create the right product. 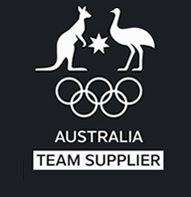 To make sure they were always in touch with the picky elite class, XTM became the official supplier of the Australian Winter Olympic Team. Like the space exploration technologies created by NASA scientists that eventually pervaded our daily lives, many XTM outfits have become part of casual wardrobes.